Posted on December 6, 2018 - By Fucosoft | Follow YouTube, Twitter to Get More Information. Have you ever encountered the same situation that iMessage not saying “Delivered” or “Not Delivered” on your iPhone? If there is no status underneath the sent iMessage, don’t worry, here this guide will walk you through troubleshooting steps to fix the iMessage doesn’t say delivered issue. iMessages can be received not only on an iPhone, but also on an iPad, Mac. The lack of a “Delivered” status means that it couldn’t be delivered to any of the recipient’s devices. 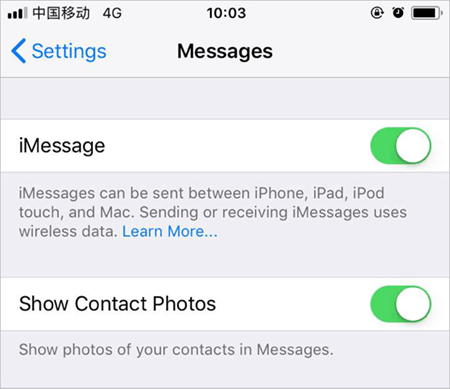 There can be many reasons why iMessage not showing delivered, such as the receiving phone is off or in Airplane Mode, the phone has no Wi-Fi or cellular data networks. Actually, many iPhone users who have just updated to the latest iOS version (iOS 12 for now) always met this problem on their device. Now let’s check the 5 simple methods below to fix the iMessage doesn’t say “Delivered” error on your iPhone XS, iPhone XS Max, iPhone XR, iPhone X, iPhone 8/7/6s/6 Plus or iPad. 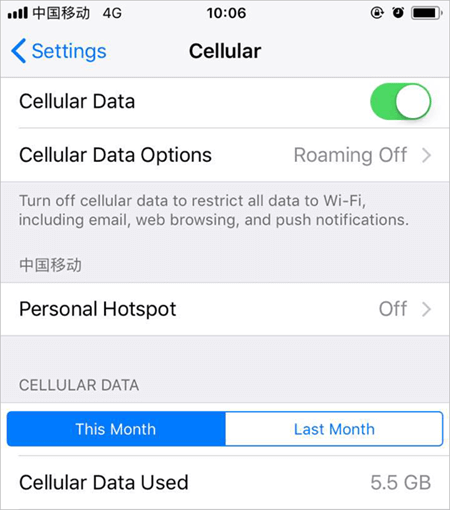 Wi-Fi connection or cellular data is required for sending iMessage. 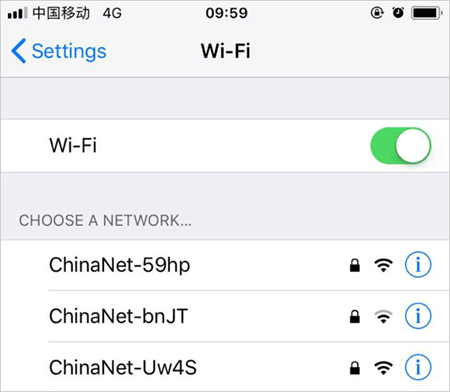 So, you may just go to Settings > Wi-Fi or Cellular to check the network connection when you fail to deliver your iMessages. Make sure that your Cellular data is still available if you use it to send and receive iMessages. Just go to Settings > Cellular > Cellular Data Used and see if your data has run out. If there is no problem with network connection or cellular data balance, you can try to restart your iMessage to fix this issue. Go to Settings > Messages > iMessage. Disable iMessage and turn it on again after several minutes. iMessage not saying delivered may due to the recipient’s phone is a non-iOS device. 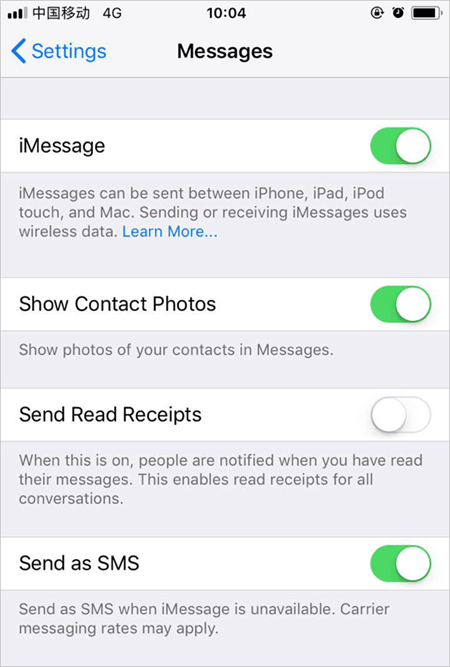 In such case, you should resend the iMessage as a text messages by enabling Send as SMS (Settings > Messages > Send as SMS). The final method that worked for iMessage not showing delivered issue is to rebooting your iPhone or iPad. Press and hold the power button until you see Slide to Power Off. Swipe the slider to turn off iPhone, then press the power button again to turn on iPhone. If you have tried all possible solutions to get this issue solved but still fail, there maybe problems in the iOS firmware. To fix it, you can try Fucosoft iOS System Recovery, which is used to solve various types of iOS system issues such as iPhone stuck in recovery mode, DFU mode, iPhone stuck on Apple logo, headphone mode, black/white screen, etc. Plus, it supports all iOS devices like iPhone XS, iPhone XS Max, iPhone XR, iPhone X, iPhone 8/8 Plus/7/7 Plus/SE/6s/6s Plus/6/6 Plus, iPad Pro, iPad Air, iPad mini, etc. running on iOS 12/11. Run Fucosoft iOS System Recovery and connect your iPhone to computer using a USB cable. Tap on the “Standard Mode” button and click “Next”. The program will recognize the iPhone. If not, put the device into DFU mode or Recovery mode to get it detected. Confirm your device information and click “Download” to download the repaired firmware to fix issues with your iPhone. Once it is done, your device will reboot and back to normal state. Go to iMessage and check it it works well now. Hope this guide help you to fix iMessage doesn’t say delivered problem. Sometimes you may come across important iMessage lose on your iPhone and have made no backup, fret not, Fucosoft also has powerful iPhone Data Recovery program. It can help you recover deleted text messages/iMessages, contacts, call logs, WhatsApp, photos, videos, notes, etc. from iPhone or iPad in just one click. iPhone is Disabled Connect to iTunes? How to Unlock?